Posted by The Way to Akhirah , 08:21:00 Be the first to comment! Hajj is one of the five pillars of Islam and was made obligatory in the tenth, ninth or sixth year, according to different reports [Ibn Kathir, al Bidayah wa al Nihayah, 5/109]. In the tenth year the Prophet (p.b.u.h.) announced that he intended to perform Hajj; this was the only time that he performed Hajj after the Hijrah to Madinah. The Muslims came from all over the Arabian Peninsula to perform Hajj with him. He left Madinah five days before the end of Dhu al Qa'dah (Ibn Hajar, Fath al Bari, 8/104; Ibn Ishaq, with a Hasan isnad (Sirat Ibn Hisham, 4/272). 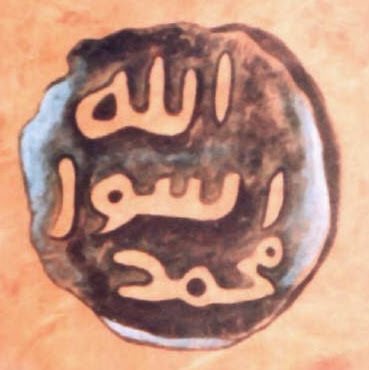 Ibn Kathir, al Bidayah wa al Nihayah, 5/111. This is the same as Ibn Ishaq’s report. He said, "Its isnad is jayyid."). The Muslims learned the rituals of the Hajj from the Prophet (p.b.u.h.) when he said: "Take your rituals from me." His Hajj was full of laws pertaining to the Shariah, especially matters pertaining to the Hajj, and general advice and laws which were mentioned in the Sermon of Arafat. For this reason, the scholars showed great interest in the farewell pilgrimage and derived many laws from it, dealing with the rituals of Hajj and other matters, of which the books of Fiqh and Hadith explanation are full. Some of the scholars wrote books dealing specifically with the farewell pilgrimage. A large gathering of Muslims participated in the event. They listened to the farewell sermon Khutbat al Wadaa' which he gave at Arafat in the middle of the Ayyam al Tashriq (three days following the tenth of Dhu al-Hijjah). Prohibition of shedding innocent blood, and taking of wealth without right, which stresses Islam's protection of souls. Admonition to fulfill and give women their rights, and to deal with them in goodness. Many authentic Hadiths have been narrated in this regard, which elucidate their rights and warn against taking them unjustly. Advice to strongly cling to the Book of Allah, in which lies the honor of Muslims and their victory. Likewise, the order to stick to the Sunnah, which explains the Quran, for verily the reason for Muslims' weakness today is their leaving of judging by the Book of Allah and the Sunnah of His Messenger. There will be no victory for Muslims except by returning to these two Sources. Testimony of the Companions that the Messenger of Allah (p.b.u.h.) conveyed the message, discharged his trust and counseled the Ummah. Order to take rituals of Hajj and other rituals from the Prophet's sayings, actions and tacit agreements. Subtle indication that the Prophet's farewell would soon come.